TVI HD cameras and TVI Hybrid recorders are easy to install or upgrade using existing standard analog cameras. Among current HD solutions, the distance of transmission, compatibility and cost are always problems for both manufacturers and users. In this context, HD-TVI technology as a brand new analog HD solution emerges in market. Overall, the HD-TVI technology can provide a more economical, easier to install and use solution for high definition analog surveillance system. 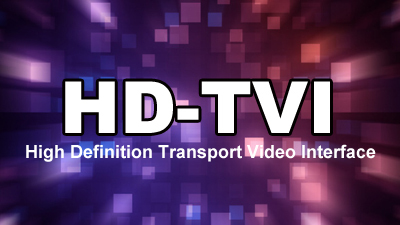 The HD-TVI can convert digital signal to analog signal for expanding its transmission distance, lower total cost, reducing total video storage space. Through coaxial cable, the video transmission distance can reach up to 300~500 meters without obvious video quality loss. In additional, the HD-TVI can transmit CVBS 75Ohm analog video signal with resolution of 720P and 1080P at 30fps, which are difficult tasks to adopt other HD coaxial solutions. Merely replacing the existing analog camera and DVR with latest HD-TVI camera and DVR, users can upgrade their surveillance system to a brand new 1080P HD system, this doesn't require extra installation knowledge and cost. Our TVI DVRS are Hybrid - this allows mix and match, TVI cameras and Analog. Ideal for upgrade and use exsisting cameras. Remote View & Control, Anywhere, anytime. Support Android Mobile, Tablets, iPhone, iPad. Playback at up to 256X speed.